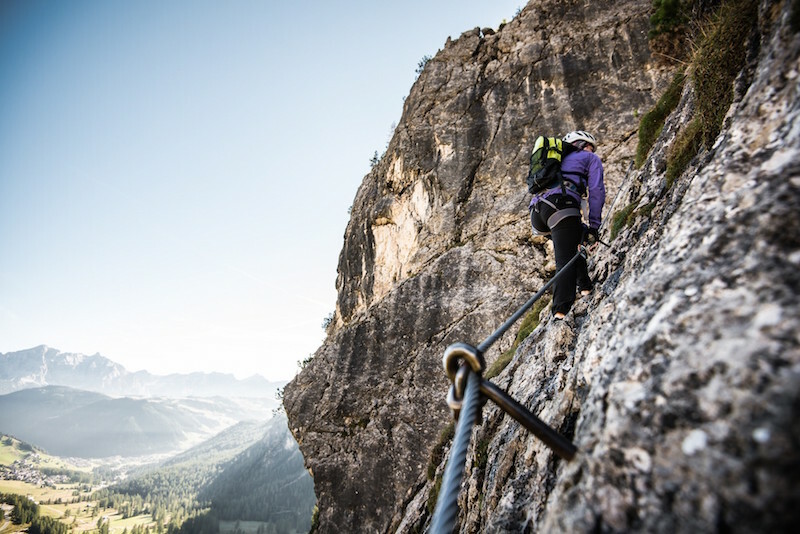 The soaring, jagged limestone cliffs of the South Tyrol region in the Dolomites make the most idyllic location for via ferrata, with days on end of stunning sunshine and views that are sure to make your jaw drop. The term ‘via ferrata’ is actually derived from the Italian meaning ‘iron path’, and is thought to have originated in Italy’s picturesque northern mountain ranges, so what better place to try your hand at this adrenaline-packed activity. For those that don’t know, via ferrata is essentially a form of climbing route that involves fixed steel cables on the rock face, helping you to scramble up very steep and otherwise inaccessible portions of the route with the comfort of a harness. 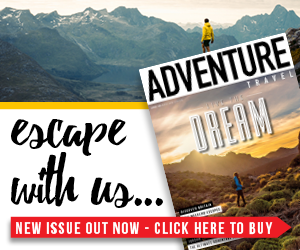 If you’ve not tried it before, it’s a great halfway house between scrambling and climbing, without the need for too much technical knowledge or equipment. 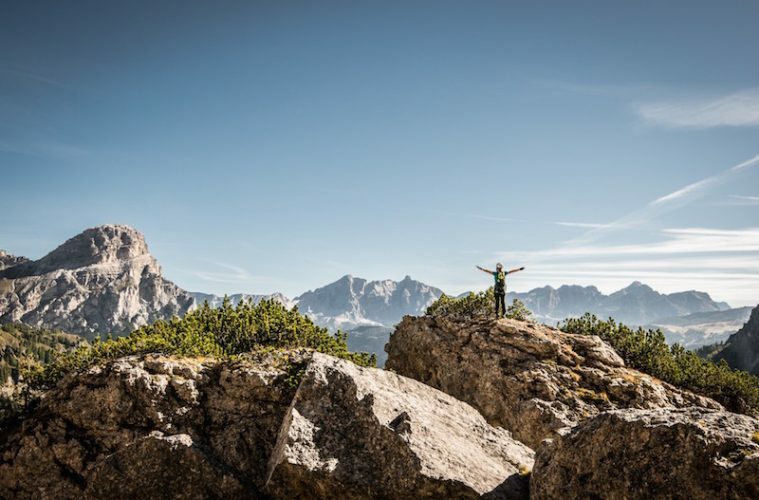 You’ll find via ferrata routes all over the Alps, but many of the ones that call South Tyrol, and more specifically, Alta Badia, home are among the most rewarding in Europe. With 300 days of sunshine per year and mind-boggling views, it’s easy to understand why, while the delicious food waiting for you in the region’s mountain huts provides the perfect way to top a day of adventure. 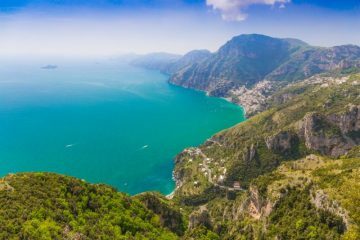 To whet your appetite, we’ve rounded up three of the best via ferratas in Italy for incredible views and action-packed routes. This via ferrata is thought to be one of the oldest in the Dolomites and has been in use for decades, helping climbers to reach the Rifugio Pisciadù, high on the Sella Massif plateaux. It begins at a car park at the top of the Gardena Pass. A short walk brings you to the start of the via ferrata with sturdy steel rungs to help you surmount the first steep rocky section before winding your way through boulders and rock walls, following the signs for the via ferrata. The next section is a little more challenging and perhaps not for beginners, but with the extra exposure comes sensational views of the Pisciadù falls and the valley sprawling out below. 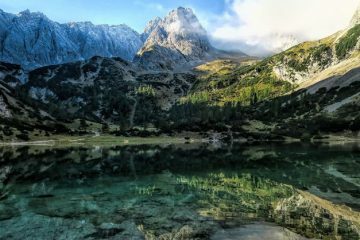 The final section involves a spectacular suspension bridge and a final scramble, before the comforting sight of Rifugio Pisciadù and its neighbouring alpine lake looms into view. From here you can peer back down into the emerald valley below to see how far you’ve climbed and admire the view. 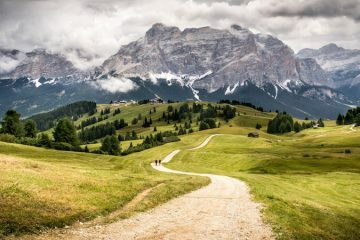 A moderately easy via ferrata route that boasts incredible views of the Sella group and surrounding lush alpine valleys. 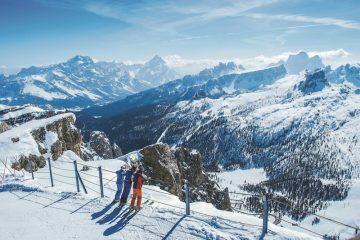 You can begin the route by taking the cable car from Corvara, followed by the Vallon chairlift. At the top of the lift you’ll follow a short trail to your right to reach the start of the via ferrata, which is an easy scramble up a rocky cliff face. You can even practice some regular climbing here, as the rocks have great natural, solid hand holds. The second section of the via ferrata involves big iron ladders, which can get a little crowded in the summer months. Before you know it, the ladder section ends and you’ve completed the via ferrata section of the trail. All that’s left to do is summit Piz da Lech and soak up the mind-boggling panoramic views from the top. You can walk back down from the summit on Trail 646 to the top of the lift where you began your climb. 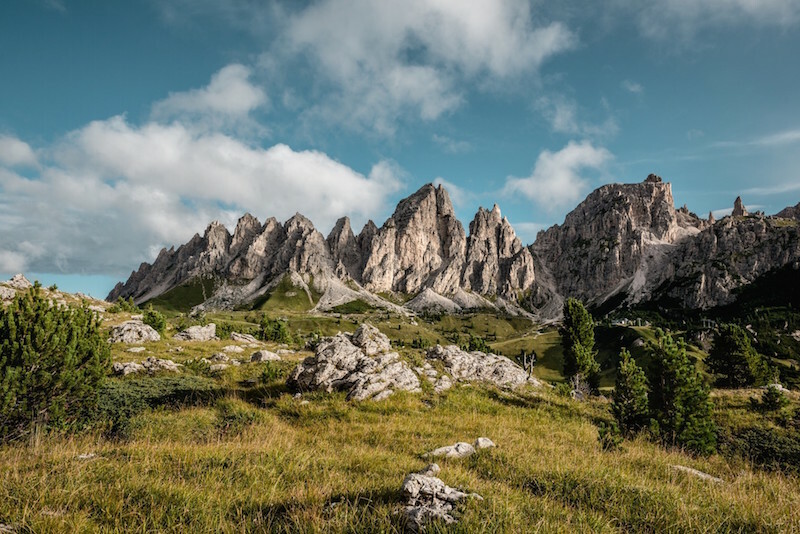 This is a great via ferrata for beginners as it is relatively short, but still delivers unbelievable panoramic views across the jagged mountains of the Sella and Sassolungo group. The terrain is steep, but solid rocks ensure you can get good holds as you go. The route starts from Gardena Pass, which is easily accessible from Val Badia and Corvara in Badia via a short drive. The great thing about the Cir V is that, although it’s short, you still manage to reach an altitude of 2,500m and above thanks to the high start. Departing from Gardena Pass, you’ll need to take the access track that leads behind Hotel Cir and follow it up to Dantercepies gondola station. From here, you’ll need to pass behind a large radio mast toward the rock face, following red paint on the rocks as you go. The path then branches left, where you should be able to see a loose-looking gully. Keep an eye out for red circles on the rock, as these mark the correct way. As you follow the gully upward you should see a ladder, which marks the start of the via ferrata. 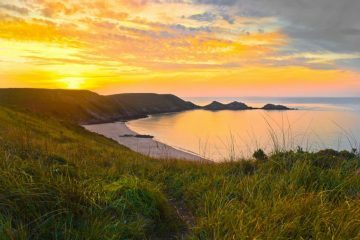 From here, you can follow the route, enjoying the good climbing until you reach the summit, where you can soak up the stunning views and enjoy the moment. For detailed information and a map, click here. If you haven’t tried via ferrata in Italy before then your best bet is to go with a guide. They’ll be able to explain all the proper safety procedures and techniques to ensure that you stay safe on the mountain. Taking on a via ferrata without the help of a guide for the first time will be very daunting, not to mention risky. 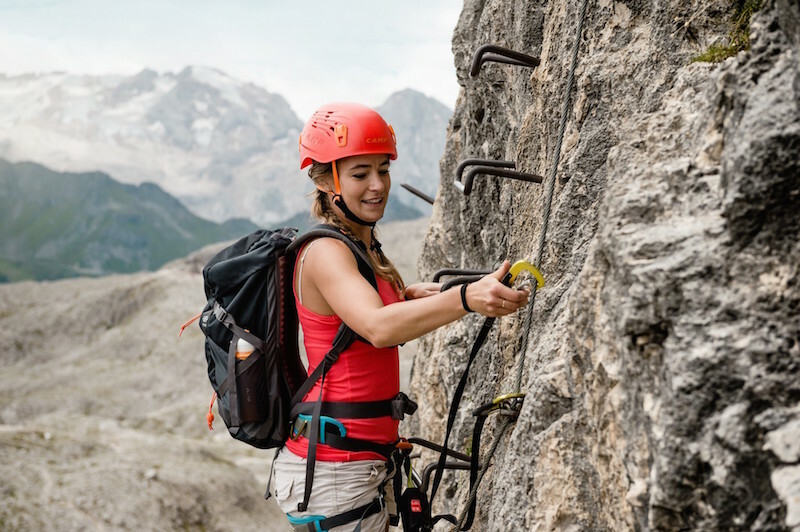 Even if you have tried a via ferrata before, it’s still worth hiring a guide for a greater chance of making it to the top and having the opportunity to learn a little about the surrounding flora and fauna. All the relevant equipment such as harnesses, helmets and gloves can be rented or bought in most mountain towns throughout the Dolomites. 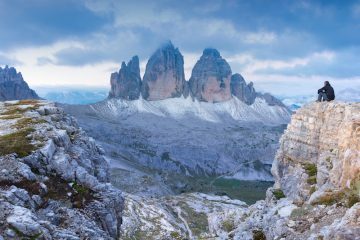 Click here for a list of Alpine guides operating in this region of the Dolomites and their contact details. It’s important to remember with via ferrata that there’s only one route up, and they can get crowded in the peak summer months. This means that you have to commit to going all the way up, as it will be very difficult to come back down past other climbers. It also means you may want to head out as early as you can to avoid too much traffic on your chosen route.